Rub your hands together with glee - if you can find any of this left that is. Although newly released, this is just about completely sold out. And it's clear to see why; this is a belter! The best barrels of the Palmers Lane and McDonalds Road vineyards are blended together for your drinking pleasure. And what a treat it is. Red fruits aromas, cloves, even a hint of nutmeg with the typical dusting of earth. Plums galore, dark cherries and black fruit move about freely with delicate spice interwoven. Superbly weighted, the frightening reality is it carries only 13.2% alc. So good! Medium to long term cellaring. I had to do a double take when I saw this... 2015 vintage Pinot Noir already on the shelf? Nah, couldn't be. Dinner at a local club needed some red to wash it down and this was the best option. I paid $32 at the bar, and whilst the RRP is $20, I'd be happy to pay the same again - excellent value for money. The fruit is sourced from various vineyards and then those parcels were blended prior to bottling. Roughly a fifth was whole bunch fermented and that textural element comes through. Delicious dark cherry, plum and subtle strawberry fruit sit proud. A hint of smoke and delicate spice grace the palate. Medium bodied with a soft touch, we shared this bottle and it was a clear hit, all gone in quick time. So much so another was purchased to fill the void. I'd go here again without doubt. You'd be able to find this a few dollars better than the RRP around the place too I suspect - a bargain! Gee I enjoyed this. It's wholesome, generous and delicious. The fruit comes from vines 7 to 70 years old. Sure there's a hit of oak and the fruit is ripe, but the depth and density of the fruit is in the sweet spot. Dark fruit, plums, cedar and dark chocolate - lots of it. There's a coconut husk thing going on too. It's hard to put down merely because there is so much intrigue. I'm captivated by the density but then a cosy warmy trait gets my attention. I then get distracted by the dark chocolate. Some spice bobs up. This goes on and on. Great drinking. One of those sip all night types. I'd go here again for sure. Medium to long term aging. Another intriguing blend sure to put hairs on your chest. If dense, ball tearing wines aren't your thing, you'd be best to steer clear from this. Tempranillo, Grenache, Souzao, Tinta Cao (60/25/13/2) do the business here. Dried flowers, dusty earth, pan juices and char aromas. Scratch around a little more and some dried savoury herbs come out to play. Big and grippy in the mouth. Sappy and puckering tannins steal the limelight. In some respects I feel like I've licked a plate of flour. Those powdery and graphite like tannins just sit and refuse to leave. I struggled to finish the glass let alone a few sips to taste. Too big for my liking. Bottled in June 2009, this has been sitting in a dark place patiently readying itself for your drinking pleasure. And time has started to impart its thing here but the frightening thing is how fresh this wine is. Pale golden and straw, the toasty characters are lacing up their dancing shoes. Honeyed toast and lemony fruit reigning supreme. The palate is coated with a generous veneer of fruit which just hangs. Acid is softening though still hasn't lost its lustre with a length lasting for an eternity. Drinking mighty well now but will live for as long as you want. 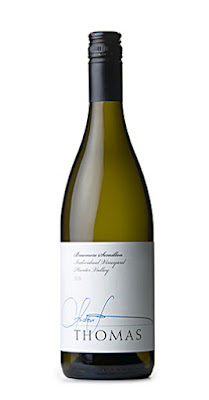 Summer time is calling and Vermentino presents itself as a great alternative to Sauvignon Blanc. And it seems the market place is making a subtle shift to these alternate varieties from the Mediterranean which I think is great news. Aromas of pears, apples and a sprinkle of spice. Delightful textural appeal is tossed up thanks to a small portion seeing old oak. The remainder was all tank fermented. 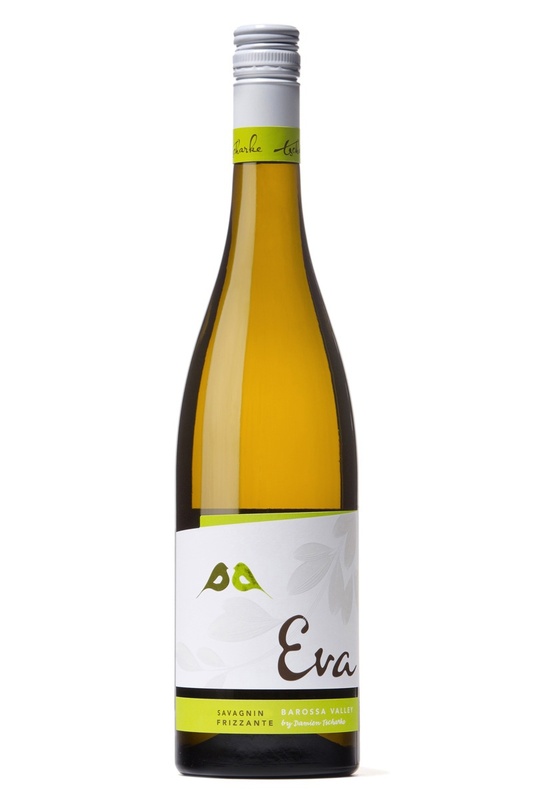 A delicious length of poached pear like fruit before it rounds out with an ever so delicate dusting of peppery spice. This variety just keeps getting better at Bimbadgen as the vintages go on. Drink now with friends. Plenty of them. You'll all be smiling. Here's a glass full of fun to stop you melting on a sweltering day. Picked early, this is a fun style with only 6% alcohol and a hefty 90g/L of residual sugar. It wouldn't be out of place with dessert on Christmas Day. CO2 was used during bottling to give the wine a gentle spritz. Fresh apple, pear, and stone fruit flavours dominate. It's clean and refreshing. That ripe green apple sweetness sticks before a cleansing acidity washes through. In many ways, it's the type of wine for pleasure not for analysis. The winery dates back to 1976 and the fruit for this comes from a few different sites in the region. Some parcels were fermented on skins in old French oak and that textural component is evident. Aromas are pretty damn attractive. White flowers, a faint musk character and lemon butter like. Bone dry, lemons and limes come to the big dance with a crunchy and almost tart green apple acidity hit which I thought was superb. A lick of sweetness finishes off this fantastic drop. I'll have more of these please. Lots more. Strawberries & cream all the way here. Stylish and hard to beat for the money - a quick search shows it can be found for under $20 - a bargain deluxe. All the hard work has been done for you too - six years of bottle age has produced a fizz ready to be enjoyed now. A blend of Pinot Meunier, Pinot Noir and Chardonnay (60/27/13), there's a dash of sweetness, and although not overly dry, there's good weight and great length. Delicious berry and nougat characters stroll through with ease. Very moreish. 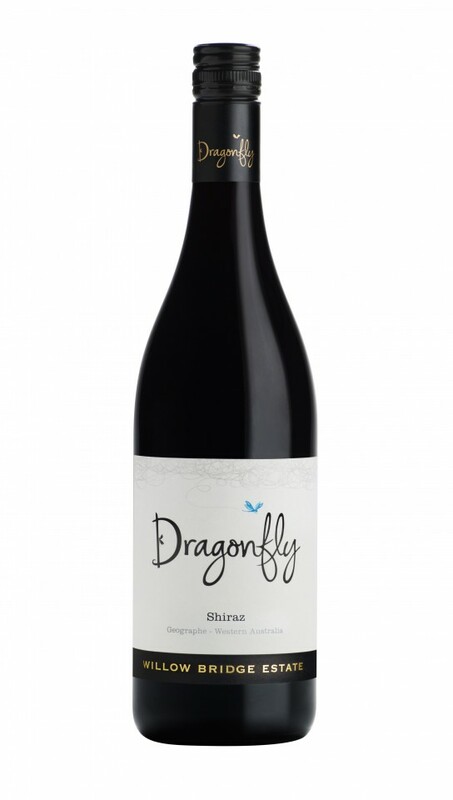 Here's a quality Shiraz for the price. It seems more measured than the 5th Generation and carries itself with poise. There's more oak presence here but it's not overpowering nor in your face. The blueberry fruit has more of a calming swagger about it. Dark fruit sits at the core. Some savoury herb weaves between and cola mingles nicely. This is plush and rounded, the depth is balanced by the smooth finish and soft tannin structure. A neat buy for the money and a wine which will easily sit for the medium term and probably a bit more. This grew on me. Good solid drinking. Charming and cool would describe it best. It opens with nice florals and an almost stone fruit squeeze before the citrus presence comes to the fore rounding out with a lemony kick. The fruit has some presence on the palate. Weight is probably not the best word but there sure is hang time before cleansing acidity swoops in. Chilled down hard I could sip on this in the shade no worries at all. No need for food, what's in the glass seems to evaporate pretty quickly. Seafood and this would be friends though, no question. I'd go here again for sure. Well priced and good value. A fruit forward type, there's lot's of easy drinking comfort here. Loaded with dense plums and dark chocolate, good oak and a rattle of spice chips in at the death. That spice just sits and hums along nicely. Some char comes late. Grainy, puffy like tannins, the acid is just a little spiky and mid palate slowly dissolves away. Regardless, this will win friends. Drink now to medium term. Only 250 dozen were produced of the best barrels from the Talga Road, Steven and Lovedale Road vineyards. A gutsy sucker dense with dark fruits followed by an earthen kick. Pepper and spice is dusted about. Crunchy type acidity hovers and gives every indication that this is a long term proposition. An undertow of chocolate rattles through before a fine, super smooth finish. I tasted this without food and I'm pleased I did. There's lots to mull over. 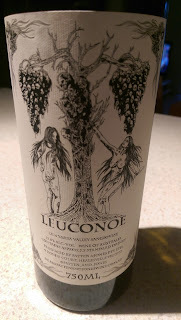 One of those wines that asks a lot of questions. Time will give the answers. Peachy, apricots and apples. More baked peach really. It reminds me of a dish my wife makes with prosciutto wrapped around fresh peach slices then baked. I reckon it would match that dish a treat nonetheless. Back to the wine... Talk about ménage that works. To say that this hits the target would be an understatement. It smashes it! There's floral lift, nuttiness, minerality, and some textural weight for good measure. Each part contributes beautifully. Gently spiced, the depth and weight of fruit here is the clincher for me. Each layer peeling back another surprise. I swear this is almost a case of history repeating. Eleven months ago I sat here having a look at the very impressive first GSM release from Shottesbrooke and here we go again - a carbon copy. The only things to change are the bottle shape and the fruit seems just a little riper. Regardless, it wouldn't be a silly idea at all to grab a 20 and throw it on the bench to get your mitts on this. Red fruits, earth, dash of black pepper. A hint of cured meat. Baked raspberry seems to swim through this effortlessly calling for another sip. Delicious all the way. Will cellar for the medium term but why wait? Rich, powerful and generous. I could go swimming in this. Only the top 1% of production makes the grade for this Gemtree flagship. At first look Caramello Koala of all things popped into my head. The caramel bit wandered off but more time in the glass kept the chocolate character rolling on only to develop some coffee like oak. Dark fruits drive the bus here. Fragrant violets present a pretty perfume. Everything is channeled with precision with black fruits washing around effortlessly. Supple finely grained tannins to finish. A piece of work well worth adoring. Cellar as long as you want. A keeper deluxe. Dried red flowers and a little violet like. Plums, a slight dusting of pepper and then a wash of blueberries. Liberal use of oak. Everything about this seems quite reserved though. Nothing in your face. Nothing really wanting to take the stage. I like the slowly slowly approach to be honest. More layers peeled off with time in the glass. Soft and fine, it lingers on the palate. Just a solid medium bodied Shiraz. Then dried Mediterranean herbs join the mix. Powdery like tannins to finish. Needs a couple of more years to mesh together but there's plenty to like here that's for sure. Sourced from a vineyard in Orange, citrus characters headed by limes which drive this. 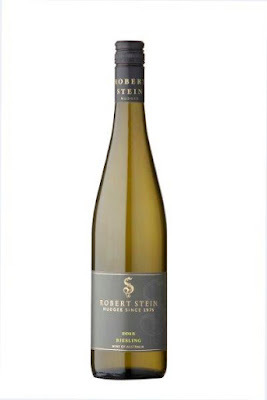 Whilst not throwing up expected vibrant and bright perfume, this Riesling has more of a weighty feel. A hint of jasmine flower is shouldered pretty quickly out of the way by grapefruit and lime pith. There's a fair phenolic kick which hangs. Quite a pleasant wine though. The crunchy grapefruit acidity urges another sip. Whiting fillets would eat this up. Crazy yum factor. If you were willing to dip your toe into the Hunter Valley 2014 vintage to see if it matched the hype then this is a fantastic starting point without breaking the bank. 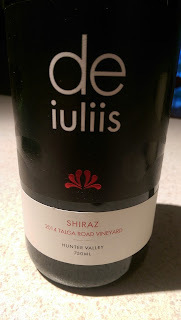 Being Mike De Iuliis' entry level Shiraz, this is a mix of parcels from the Talga Road vineyard, Steven, and Lovedale Road. Super smooth, it's juicy with a meaty tinge. Red fruits cut loose before a dash of pepper dives in for good measure. Vanilla adds another dimension sitting quietly on the flank. A fabulous example of medium bodied Hunter Shiraz at a great price. I'd happily line up for this time and time again. A bargain and then some. Drink now but will age for the long term - ten to fifteen years easy. There's some samples that come in which I could happily demolish in one sitting. This Tempranillo would fall into that category without question. Delicious and then some, I managed to avoid temptation mind you. Aromas of blackberries, char, vanilla pod, roasted tomatoes, and spice. Make no mistake, this is a big boy weighing in at 14% alc but it certainly doesn't throw its weight around. It has a modest appeal about it. Black cherry flavours abound. Some cocoa type bitterness runs through the middle which rounds out with a spice tickle. The finish is long and moreish. I can't help but want to grab some char grilled steak or a meaty pizza. Worth tracking down. Dark plums, some blue fruits. Nothing really savoury comes forth. Pretty one dimensional. Nothing offensive here, what you see is what you get. Decent weight and length. Simple drinking pleasure and a sturdy bet for those who don't want anything confronting. Not something I'd buy but there are plenty who would. A good place to start your adventure into the world of red wine. Tropical fruit does its best to bust out early. I was met with a glacé pineapple type aroma but this blew away. Grassy aromas, guava, gooseberry and passionfruit then nudge their way to the fore. Clean and crisp, there's more of the tropical fruit on the palate and not so much of the greeny grassy stuff. A refreshing drink indeed. You'll be happy with this. A reliable fizz year after year. Non vintage, a blend of Pinot Noir, Chardonnay and Pinot Meunier (60/37/3) coming from four regions though predominantly Adelaide Hills and Tumbarumba. Smells a little lemon rindy and toasty sour dough like. Creamy through the mid plate and exits with a citrusy zip. Nice palate weight too. Consistency at a good price and readily available. It ticks all the right boxes and presents itself well. From McLaren Vale and Adelaide Hills, it sat in French and American oak for seven months. Nectarine, yellow peaches, some citrusy vibrance and a suggestion of banana lurks. Creamy oak swoops at the death as does another peach skin tease leading to a long finish. Solid drinking. Gee this is great value. A fruit driven beauty. Plums and mulberries come in buckets, a lick of raspberry and cherry fruit then move on in. Soft and supple with drying tannins to finish. It packs a punch with a flavour hit but also possesses a graceful elegance. Certainly a cut above for the price point. She's a lady! Super soft and smooth, this is killer 'Hunna' Shiraz. A pretty and fragrant wine sums it up best. Dried red flowers and violets. Soft as. Some raspberry and red fruit jostles to the fore. Tempered oak and alluring spice rolls gracefully through to tannins edging on powdery. Top shelf and easily the best Steven from Mike De Iuliis. I'd walk over broken glass for it. A ridiculous buy for the asking price - a bargain! Cellar long term. This won't die. Damn! More like this please. On skins for 48 hours, wild yeast fermented with 7g of residual sugar per litre. This is weighty and tasty. I could sip on this all afternoon - no sweat. Sure the residual sugar helps it slide down that little bit easier but the textural appeal and the moreish stone fruit and canned apple like flavours add further appeal. Acidity is well balanced and a dash of spice keeps this humming. Insider? Get it inside ya! Here's a refreshing drop to wash away your blues on a sweltering hot day. 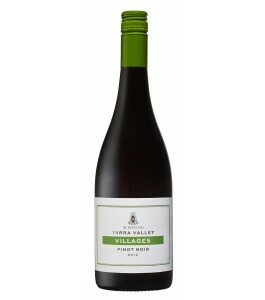 A 53/47 blend of Hunter Valley Semillon and Adelaide Hills Sauvignon Blanc, this goes down too easily. Despite the Semillon being slightly more dominant of the two, it's the Sauvignon Blanc that shines. It's crisp with plenty of tropical fruit goodness. Melons, passion fruit, snow pea to the fore. Great value summer wine. I lined up eight bottles of Shiraz, most of which were from the recent vintages. This was the oldest and least preferred. I gave it plenty of air but it just didn't seem to get going. Tomatoes; pizza sauce like. Handfuls of dark berries and dry Mediterranean herbs. Even a canned cherry syrup like trait bobbed up. Tempered oak. Firm robust tannins. Crunchy. Firm acidity too which grabs hold and takes the stage. There's obvious aging potential here. Massively drying and puckering tannin. Some mid plate warmth conceals the fruit a little too much for my liking. One of those wines that needs food to temper it. I could wash down a burger with this, easy. Lots of fruit with a drop of sweetness. A core of spice runs through it. There's a crunchy green apple thing about it too which is preceded by a basket of red fruits and berries. It screams out for Sunday BBQ pleasure. From certified organic vineyards, this is the entry level wine for Gemtree. Made more for immediate enjoyment, this is a fruit driven wine. Aged in French oak for twelve months with only 10% being new. Dried red flower perfume, red fruits, red currants, a little oak influence and savoury spices to finish. It is certainly not as gutsy as the 14.5% would suggest. It's just a good honest wine. Drink now or cellar for a couple of years.